It’s been very exciting to be a part of the Insatiable Reads tour. We’re seeing so much success with breakout hits. As a writer, I’m always thrilled to see other writers thriving. Writing can be a lonely job at times, but I wouldn’t want to do anything else. I adore the ability to create stories and build characters. It’s a true passion. 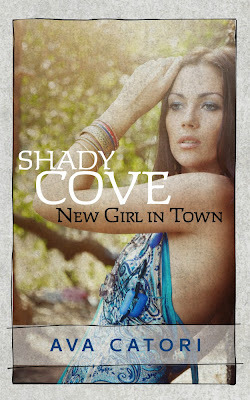 In my book Shady Cove: New Girl in Town, I had fun picking out traits for my characters, and finding their voices. There’s a line in the story about boiled peanuts. A few years ago, I went to visit a friend in North Carolina, and she introduced me to boiled peanuts. It felt automatic to include them when I realized my small town was set in North Carolina. Taking a tiny element and building it into something more is so much fun for me. The main character, Jenna, is forced to relocate to a small town, and feels like a fish out of water. Not everybody is happy she’s moved into town, though one person in particular has taken notice. Benji’s world is about to change, now that Jenna’s in town. If you’d like to read more about this small town and Jenna and Benji’s relationship, be sure to check out “Shady Cove: New Girl in Town”. Blurb: Can a big city girl go country? Jenna’s life grinds to a halt after her brother’s suicide. 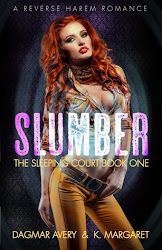 With her college funds non-existent and her future plans put on hold, she’s forced to relocate to a sleepy town. Just when her entire world is crumbling, she meets Benji Preston, a local guy she doesn't expect to fall for. He's not even her type! A harmless flirtation quickly escalates into something more. The only catch? He’s the same guy her cousin has been harboring a crush on for ages. With tongues wagging and jealousy dogging her every step, Jenna has to decide what's more important; her heart or her family ties? Ava Catori spends her days tied to her keyboard, being happiest there. With a passion for storytelling, she gets lost in the details of building characters and analyzing their thoughts. With a conversational tone, she entertains with fast, fun reads. There’s nothing she like more than putting a couple together, only to tear them apart so they can find their way back to one another. Ava lives in New Jersey, but sneaks away to Florida as often as she’s able. She’s happily married to a patient man who has the ability to sustain long hours of rambling thoughts spilling from her non-stop. With the company of three dogs and a cat, she sets her writing schedule around their inability to coordinate their potty breaks. You can find her website at AvaCatori.com to see a full list of her titles. 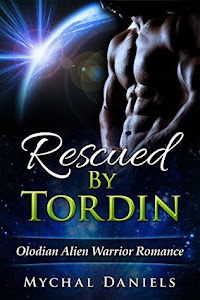 Ava Catori is part of Insatiable Reads Book Tours, where the hottest authors in romance debut their sizzling new reads! Thanks for sharing the awesome giveaway.